Apple launched today the new Apple TV set-top box which features 1080p HD video output in addition to an updated UI, available next week in stores for the same price of $99. It was big a day of announcements for Apple, who also revealed the long-awaited iPad 3 as well as major software releases including iPhoto for iPhone and iPad at the invite-only media event in San Francisco. The 1080p video upgrade will come as welcome news to customers looking to purchase the Apple TV, and will extend high-definition capability to all iTunes, Netflix and Vimeo movies. People are going to love streaming movies and TV shows in 1080p with the new Apple TV, and photos look beautiful displayed at the maximum resolution of your TV. Apple TV is easier than ever to use with its new icon-based interface and the ability to access your purchased movies, TV shows and music right from iCloud. 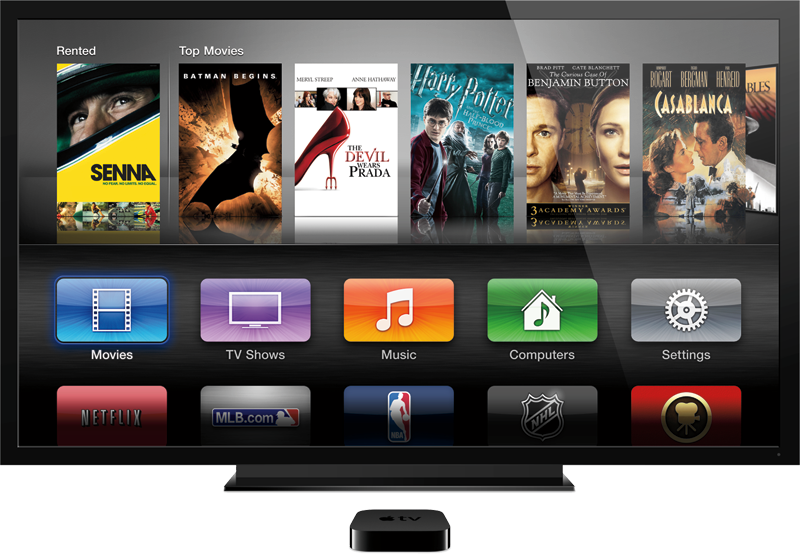 The updated user interface brings an iOS-feel to Apple TV, with icons for media categories such as movies, TV and music and will come as standard on the new device, with the same update available to existing users for free from today.